Do you know how many prospects or customers you actually talked to face-to-face last year? It’s okay if you can only count these interactions, on one hand, you’re not alone! It’s that time of the year where we set new goals, try new business tactics and most importantly fill in our calendars with the must-attend sales conferences of 2018. Many sales reps are guilty of spending too much time behind a computer screen. So let’s all try and connect more this year and what better way than a conference. Conferences are a great opportunity for salespeople to connect with potential prospects, network with like-minded people and learn about new technologies all of which can help them grow their business. However it does depend on your industry, maybe a conference is not a good fit for you, why not check out a local networking event or talk in your area – you’d be surprised what you can learn. I have put together a list of top sales conferences taking place in 2018 which all salespeople should consider attending. AA-ISP Digital Sales World attracts all levels of sales reps and leaders and is a great conference for those who like to stay ahead of the curve with new technologies. Embrace yourself to learn how to overcome challenges you face in digital sales and to learn new digital sales trends that will help to boost sales in your business and much more. Speakers include Kurt Shaver, Co-Founder of Vengreso, Lori Richardson, President Women Sales Pros and more, see the full list of speakers here. This not to be missed conference takes place in three different locations and it’s 4th International conference takes place right here in Ireland! SaaStr Annual 2018, three day event is packed with sales, marketing, product, customer success, engineering, finance and operation talks from industry experts in SaaS. I would advise checking out the agenda before attending and planning a schedule for yourself so you get as much in a possible. Do you want to increase growth in 2018? 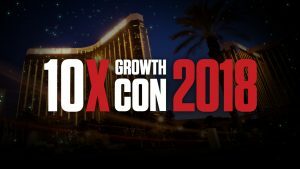 Then this is the conference for you, learn from the best and most successful entrepreneurs that will guarantee you 10x Growth in 2018. Day 1 will see Grant Cardone, Sales Expert and other leaders who achieved billions in sales discuss how it’s done. If it’s Marketing you need help with, on Day 2 you will learn about online sales strategies and campaigns run by the experts themselves and finally wrap it up with learning how Business and Life are connected. It’s proven that Sales and Marketing achieve better results when they work together. Revenue Summit will share tips on marketing and sales alignment, latest sales technologies and more from the people who know it all. Hear from Jen Spencer, VP of Sales and Marketing, SmartBug Media, Olivia Nottebohm, Managing Director of Sales, Google, Jaimie Buss, VP of Sales, Zendesk and much more. Head to RainMaker 2018 in Atlanta if you want to learn all you need to know about Sales and network with like- minded sales reps. Check out speakers and agenda here. RainMaker also offers a series of workshops and are worth checking out. Three conferences, in three different states, there is sure to be one to suit you. 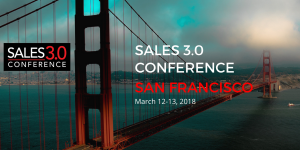 Sales 3.0 conference is a great opportunity to gain new perspectives and move your business and sales strategy with the modern world. The conference will see Elay Cohen, CEO and Co-Founder, SalesHood, Scott Collins, Principal Executive Advisor, Gartner, Keith Krach, Chairman, DocuSign and many more. 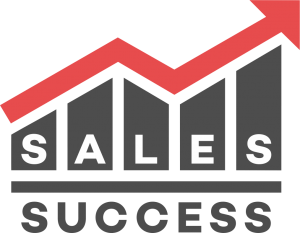 If you are looking to exceed your sales goals in 2018 and focus on B2B sales you will be sure to enjoy this and come away with some helpful sales strategies to help you sell more. Sandler Sales and Leadership Summit will focus on collaboration and best practices for Sales and Leadership, there will be sessions on Management, Sales and more where you will work together with other sales representatives. Hear from the man himself David Mattson, CEO and President of Sandler Training. TOPO Summit will attract over 1500+ sales and marketing people will gather in San Francisco in March to network and gain knowledge from revenue leaders that will help them grow their business. Learn everything you need to know about increasing revenue with over 50 sessions and workshops over two days. Sales Innovation Expo a must for Sales Directors and Managers, you will hear from Sales Directors from the best-known companies worldwide; Sharen Murnaghan, Global Sales, Hubspot, Gavin Ingham, Motivational Speaker and Coach, Rita Mokbel, Global Sales, Ericsson. With an extensive exhibitor list lined up, from Ensize , Imapt, SalesGym 360 and more, it’s a great place to get to know about the latest technologies and learn how they can improve your sales performance. 2018 marks the 10th Anniversary of the Sales Leadership Summit. A conference that brings together inside Sales Leaders, this year I’m sure will be even bigger and better! The best thing is you have the option to attend pre-event workshops on Leadership Skills, Increase Productivity, Team Performance and much more. Don’t miss an opportunity to connect with like-minded individuals at ‘Birds-of-a-Feather Roundtables’ each morning during breakfast. Customers are the people who are responsible for us having a business in the first place. If you are all about customer first approach then this is Pulse 2018 is the conference for you. It’s marketed as the biggest event in customer success! Anyone involved in Customer Success or after sales will benefit from talks, workshops, and success stories from top experts in this area. Beth Comstock, Former Vice Chair, GE and John Jester, Vice President, Worldwide Customer Success, Microsoft are among many of the speakers. SiriusDecisions Summit is dedicated to discussions around B2B sales and marketing best practices. Along with sessions on specific topics, you will hear presentations on real-life situations through customer case studies. One thing’s for sure you will leave Las Vegas with more growth ideas than you can handle! If you like discounts (who doesn’t) register before February 28, 2018. INBOUND 2018 is one of the biggest conferences today. You will be sure to come away inspired and with the motivation you need to up the sales gear for your last quarter of 2018 and reach those goals. This conference will see business people from all industries. Last year saw Michelle Obama, Seth Godin to name a few. We can’t wait to see who will inspire us at this year’s event. CEB Sales and Marketing Summit opens the floor to sales and marketing individuals, giving you opportunities to share your challenges, ideas and learn from Industry leaders. Set yourself up to four days of action packed networking and learning. If you like to mix business with pleasure, this Sales Cruise summit is perfect. Topics include; sales process improvement, sales and marketing alignment, social selling, data, analytics, metrics, sales training, enablement, coaching, development, leadership, culture, strategy, lead generation, customer engagement, retention, sales technologies, emerging trends and much more! For those who would rather stay on land, Sales Summit offers two location-based conferences one in New York and Los Angeles. They even offer an online conference to fit with our busy schedules! Is your diary full yet? These events bring thousands of like-minded professionals and are the place where great ideas are generated and business relationships formed. Let’s make 2018 about connecting, after all, isn’t that what sales is about? Connecting with people.